SO MUCH NEW CONTENT and This is NOT Spinal Tap! – it's only a bruise. SO MUCH NEW CONTENT and This is NOT Spinal Tap! 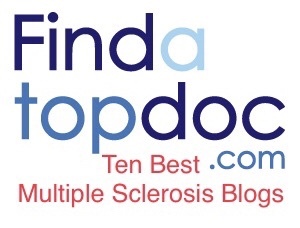 It’s Only A Bruise was recently named the #10 Best MS Blog of 2017 by HealthLabs.com! Be sure to check out the other blogs on this list! Above MS is releasing new content of mine (articles, recipes, Facebook videos) periodically over the course of this month. There are a couple items currently posted, but keep checking back for more! Watch for the March 2018 issue of Momentum Magazine–it will feature a new article, in which I discuss how MS affects the way I view myself. Need a last minute holiday gift idea? Four articles of mine appear alongside many other writings from really great MS bloggers in the Something On Our Minds: Anthology of Multiple Sclerosis Writings (Volume 4), available in paperback (Kindle version on the horizon!). All proceeds benefit the Accelerated Cure Project. Have you seen the Team Bruised Apple recap video from the 2017 Walk MS yet? And now…onto some exciting news for the MS community. Earlier this month, a biotech company called iQuity flew a handful of MS bloggers (links to their blogs are below), influencers, and advocates to Nashville to learn about their RNA blood test, nearly a decade in the making, which reports over 90% accuracy in detecting MS…within a week. This is a game changer. I was very fortunate that my own diagnosis came swiftly through MRIs, a Western Blot, and a spinal tap (though I certainly would have preferred a blood test over my extremely painful lumbar puncture and resulting side effects), but that is not the case for so many others. It’s not uncommon for the official diagnosis to take years, opening the door for irreversible damage. Diagnosing MS will never be black and white definitive, but with this blood test, we’re a lot closer than ever before. Help us spread the word by asking your doctors about the IsolateMS blood test! We also heard from industry experts about trends in physical therapy and rehabilitation, opportunities in treating PPMS (we learned that remyelination is possible through exercise! ), and how to use social media to spread information in the MS world. After the presentations, several of us gathered for a live virtual meet and greet and introduced ourselves to each other’s audiences. The good folks at iQuity treated us to an AMAZING dinner at the Opryland Resort and a Cirque Dreams Holidaze show at the Grand Ole Opry House! So cool to see a performance on such an iconic stage! Thanks, iQuity! Oh! Also! On the flight to Nashville, I made a new friend named Shelley! Thank you, Shelley, for sharing with me and making a super early flight a lot more pleasant! It was such a pleasure to meet you!